The practice of meeting on March 31st, 9 people participated and 3 visitors including lesson at pupils homes. No new member came. 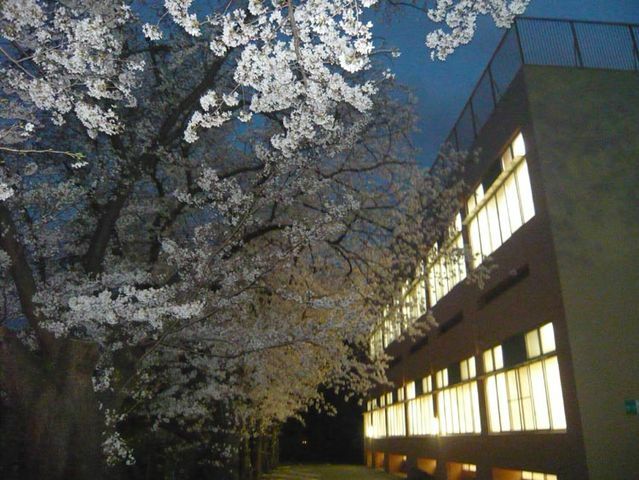 Cherry trees next to the judo hall of sports center, were in full bloom beautifully!!! Also the new year term, let's rise!!! Thank you. 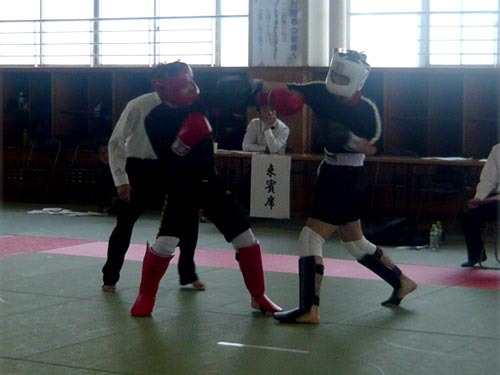 Application of sports insurance began. Click here for details. The practice of meeting on March 24th, 11 people participated and one person visitors including lesson at pupils homes. New member were 2 men. 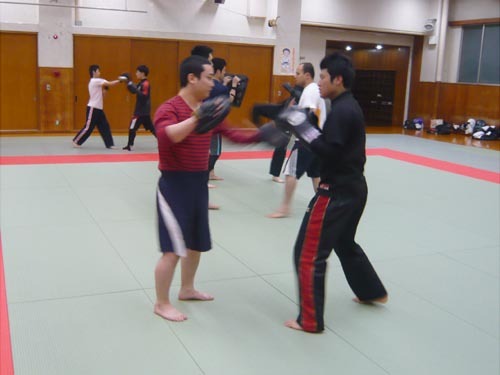 One was "YUU-san", he was an experienced boxing and Aikido. The other was "Casshern-kun", he has experience in Military fighting art. In this circle we are currently looking for new members! Beginners are welcome, of course. 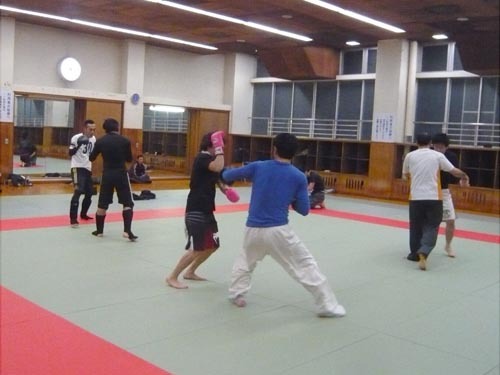 The next meeting is at 7：00 pm Sunday, March 31st, and will be held at Kobe City Oji Sports Center Judo Hall. Who plan to attend the next exercise, Please RSVP to the comment field of this blog or e-mail to representative of KFN, if possible. Thank you. 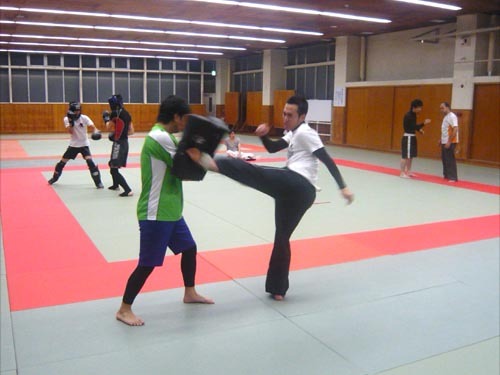 PS　Application of sports insurance began. Click here for details. 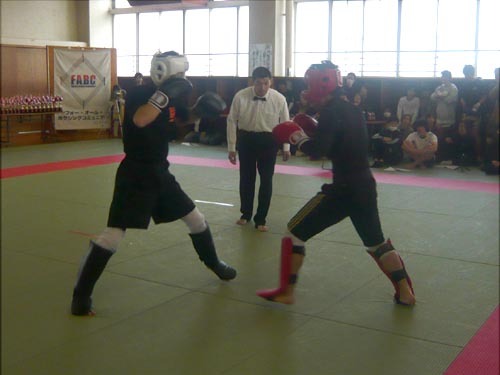 The 6th Kobe Cup will be held in today, also participated in 4 players from KFN Group(including the Ken-aikai members). 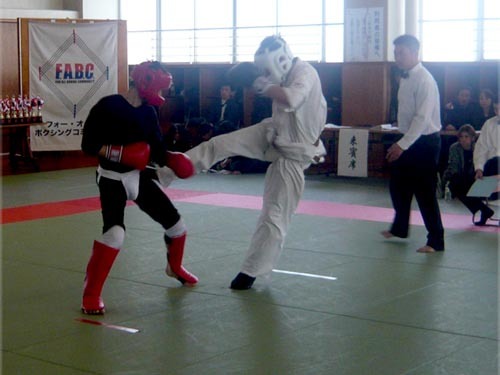 One player(Ken-aikai member) abstained because of an injury. In addition, many people came to cheer. The results were all eliminated the first round, unfortunately. Anyway, people who have participated, who were cheering, it was really cheers for good work. To win at least once next time, try my best to practice!! Last but not least, we have providing the field for such a game, to "For All Boxing Community" organizer, We would like to thank deeply. 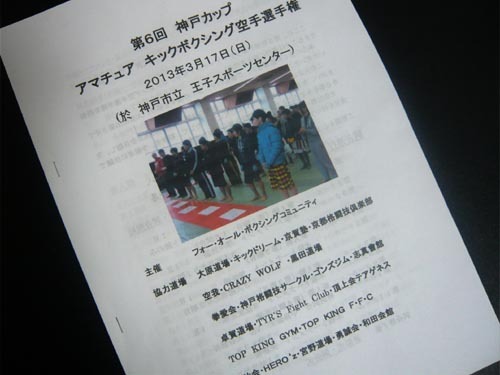 The next meeting is at 7：00 pm Sunday, March 24th, and will be held at Kobe City Oji Sports Center Judo Hall. If you with convenience, please come to the meeting all means practice. Thank you. 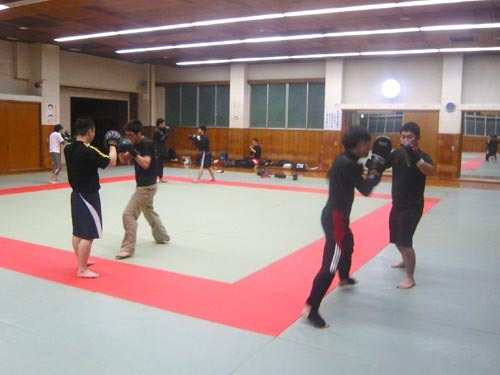 The practice of meeting on March 16th, 8 people participated. No new member came. There is no practice tomorrow evening 17th. Please note. The 6th Kobe Cup will be held on Sunday, March 17, also participated in 5 players from KFN Group(including the Ken-aikai members). Because we will need as corner men, members that fit conveniently on the day, please come to cheer. The location is the usual gym(Kobe City Oji Sports Center Judo Hall), players set the day 10:00, and the opening ceremony will be held from 10:30. After the opening ceremony, the bouts begin, and the end time is scheduled for 15 o'clock. It is safe to come at the venue, maybe the game is over and the time is too slow. If you will come, please gather local. The practice of meeting on March 10th, 12 people participated and one person visitors including lesson at pupils homes. New member were 2 men. 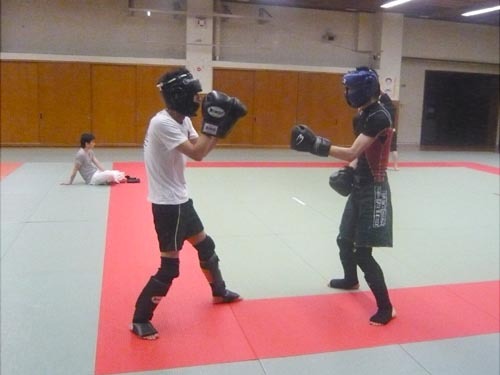 One was "Tommy-san", he was an experienced judo and karate. 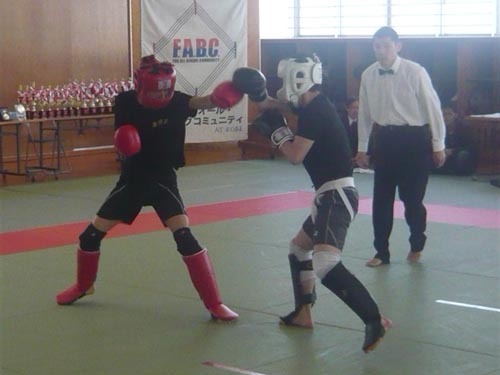 The other was "Naoki-kun", he is a university student and has experience in karate, too. 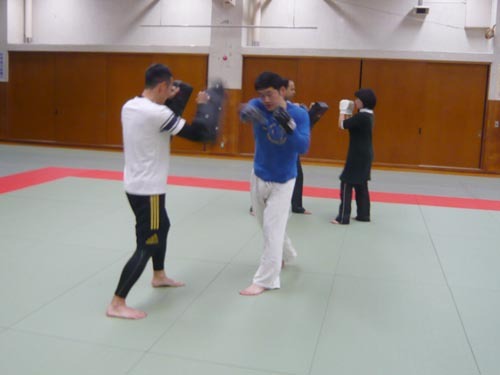 The next meeting is at 7：00 pm Saturday, March 16th, and will be held at Kobe City Oji Sports Center Judo Hall. and it is closed on Sunday, March 17, please note! The 6th Kobe Cup will be held on Sunday, March 17, also participated in 5 players from KFN Group(including the Ken-aikai members). Because we will need as corner men, members that fit conveniently on the day, please come to cheer. 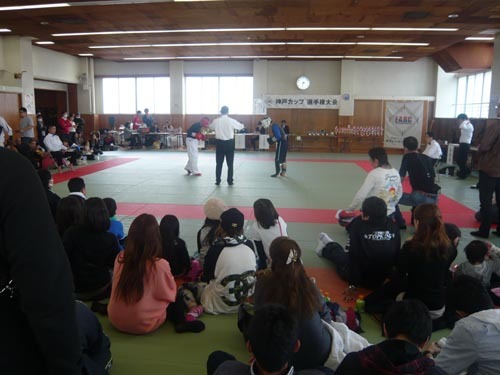 The location is the usual gym(Kobe City Oji Sports Center Judo Hall), players set the day 10:00, and the opening ceremony will be held from 10:30. Thank you in the local set.